← Fl Fashion Weekend 14′ – Show time! So as mentioned in one of my previous hair post, I have taken on the task to try and nurture my hair back to health after a long time of chemically damaging it with relaxers and heat. I still from time to time use rollers, or straighten it but for the most part wear it in its natural curly state. Its been quite a journey figuring out what works best for my hair type and I am still learning as I go along. 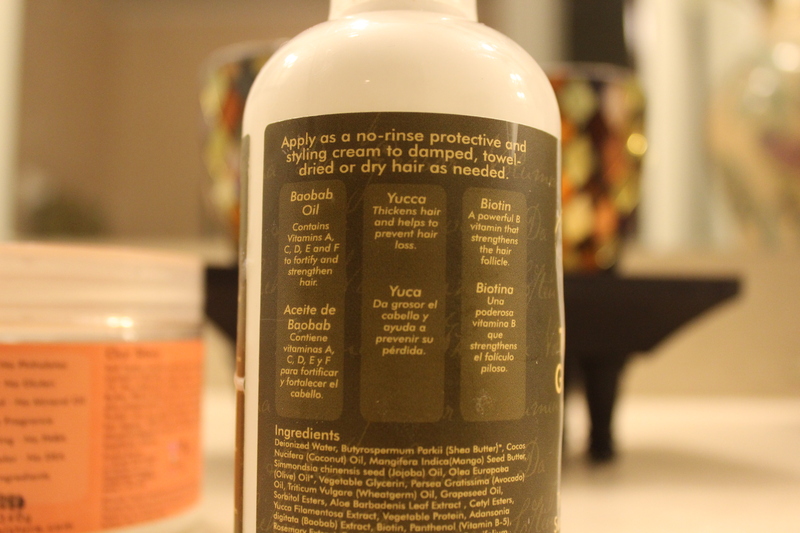 My main concerns were affordability and using natural products (to bring my hair back to life). In comes Shea Moisture products! This nutrient rich line is certified organic, cruelty free, dosent incoporate parabens or sulfates and the list goes on and on! With ingredients like coconut oil, silk protein and even yucca its hard to believe that both of these products are under $15.00 each. 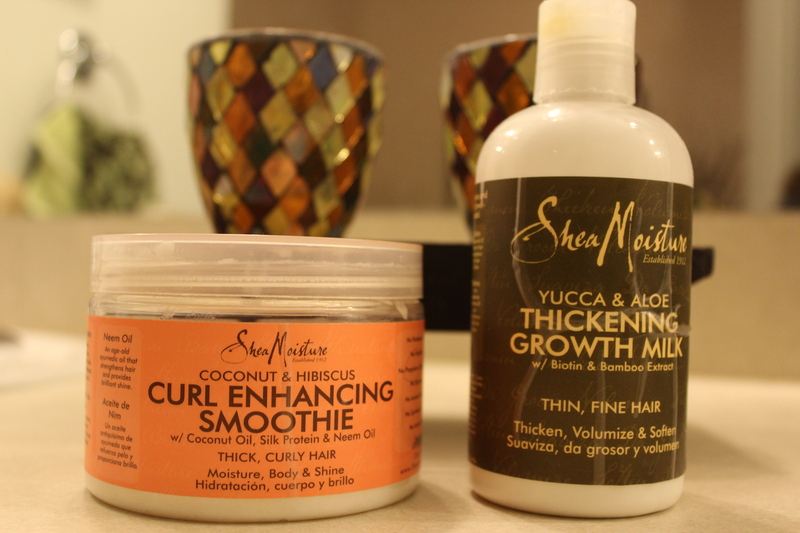 The curl enhancing smoothie was my first purchase followed by the thickening growth milk that I use in conjunction together. This combination works wonders for me and depending on how much hair you have and how much you use, these products go a long way. They are available at drug stores and also linked below! They are all taped up from the travel and usage they have gotten! 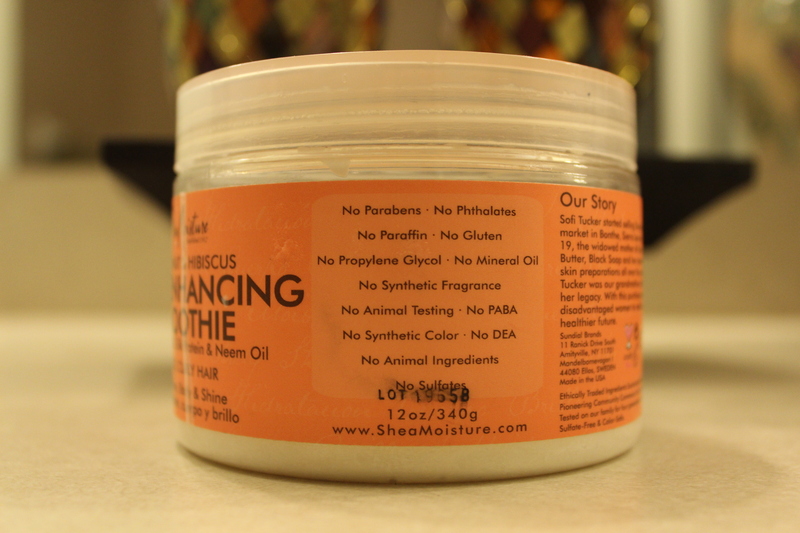 Pros- Conditions Hair, Restores Moisture & Shine, Minimizes Frizz & provides control. Be sure to “rake” this thoroughly through your hair as to not have any clumping in any one specific area. It wont flake but it will be a bit greasy if not spread evenly or if too much is used. It does not leave my hair hard at all! Super soft with control, whats not to love? I added this thickening growth milk to the mix after realizing the smoothie was for thick hair. 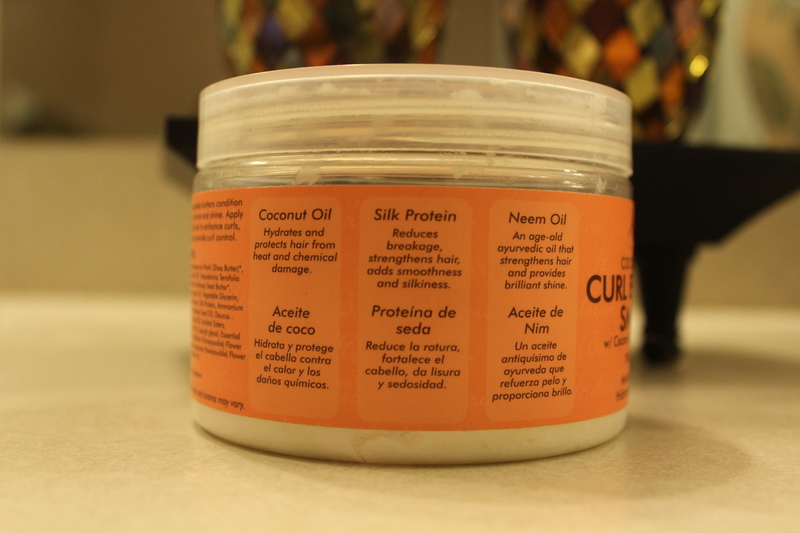 I personally have very thin hair and this adds volume and also helps soften it. I mix this and a the smoothie in my palm and apply it generously in a “raking” motion. This can be used on damp on dry hair as a styling cream. Stay tuned for a step by step curly wash and go routine!